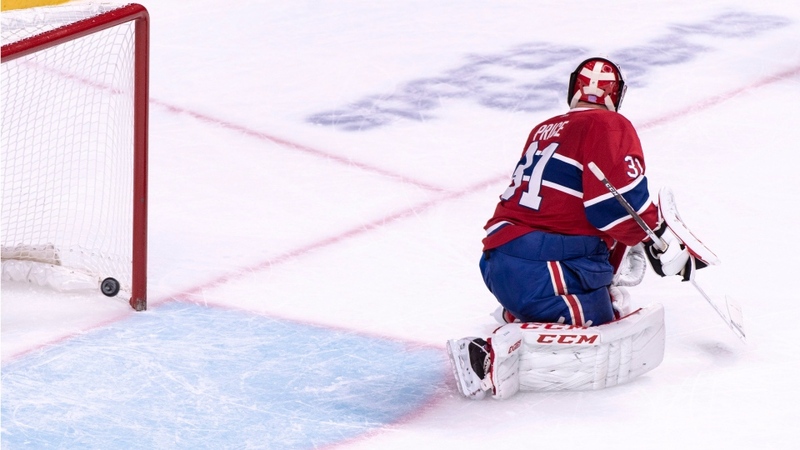 MONTREAL -- A very discouraged Carey Price put all the blame on himself for Montreal's latest loss. Price gave up a season-high six goals as the Canadiens lost 6-5 in overtime to the Buffalo Sabres on Thursday night. "Let's just cut to the chase really," said Price, who made 25 saves. "I just didn't play very good tonight." With the game tied 5-5, Rasmus Ristolainen scored 1:38 into overtime with a slap shot that blew right past Price after a failed 3-on-1 for the Canadiens at the other end. It was the only shot in overtime. Price failed to control a rebound in his crease when Vladimir Sobotka put Buffalo ahead 2-1 at 14:40 of the first period. After giving up three goals on the game's first 12 shots, some Bell Centre fans cheered sarcastically when Price made an easy save on a trickling puck. In the second period, Price couldn't find the puck after Jack Eichel's shot hit the post -- an easy goal for Jeff Skinner as the Sabres went up 4-3. The Canadiens (8-5-3), which were coming a 5-3 defeat to the New York Rangers, lost two consecutive games for the first time this season. The Sabres (8-6-2) took three leads in the first period but Montreal answered right back each time. Buffalo went up 1-0 through Sobotka's first at 6:08 before Jonathan Drouin equalized on a 2-on-1 with Max Domi at 9:14. After Sobotka made it 2-1, Montreal tied it up just 10 seconds later when Matthew Peca netted his first in a Canadiens uniform on a bank shot from behind the net. Conor Sheary, playing his 200th NHL game, made it 3-2 at 15:52 before Andrew Shaw jumped on a loose puck in the crease to tie the game 34 seconds later. Tomas Tatar got Montreal level again with his sixth of the season at 10:17 on another 2-on-1 with Domi, who registered three assists and extended his point streak to five games. After tying the game four times, the Canadiens took their first lead when Nicolas Deslauriers scored a short-handed goal - his first of the season - when he beat Linus Ullmark between the pads at 18:03 of the second. Ullmark gave up five goals on 32 shots after two periods. Carter Hutton, in relief, made fives saves in the third. "That was a really bad game," said Ristolainen. "You can't have those games. This game is going to make us tighter and we're going to grow as a group. An ugly win." Montreal finished 0 for 5 with the man advantage.